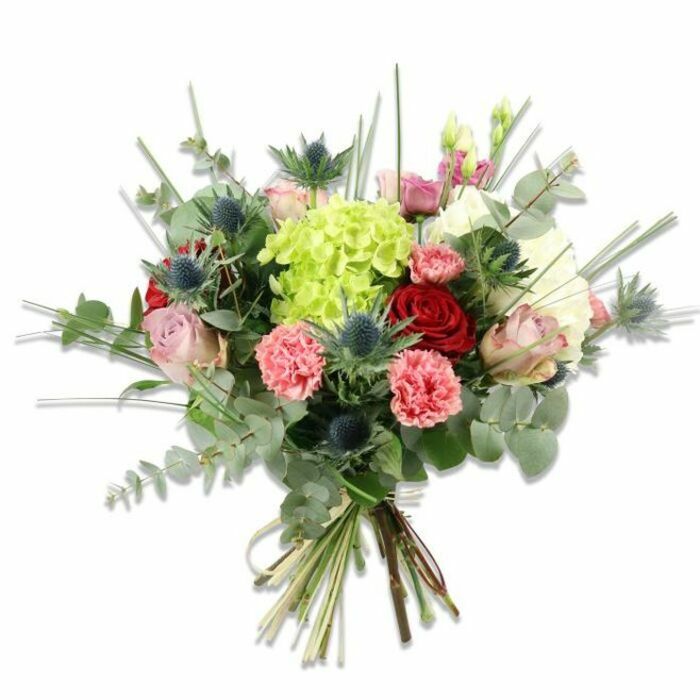 Win them over with this magnificent combination of hydrangea, roses, carnations and greenery! Write a touching card message and VOILA! You have the best gift ever! Such a welcoming event! Just moved into my new flat and what do you know? My parents decided to gift me and my partner with a set of 4, matching centrepieces for our enjoyment. Made the place look just like home, even though there were moving boxes strewn about! Great florist! I did not order the flowers myself but received them as a gift from my partner. The flowers were a very heartfelt surprise and immediately helped to lighten my mood. I plan on regularly ordering some flowers just to keep them around me. My partner does not normally write reviews so I thought I would write one. Thanks a lot. The flowers are simply alluring. This remains my favourite online flower shop. My flowers were superb! The freshest quality in every flower that was in the bouquet! The bouquet I just received was amazing. I have never seen more beautiful flowers. My mom sent me photos of the flowers and I must say they look fantastic! Big thank you!